N. Saomai, born on 19 February 1940, started his writing in the early sixties, contributed to newspapers as a freelance writer based in Saigon, and to a monthly as a staff writer (montly NT from 1968 to 1971). His pieces were then published pseudonymously under many different pen names. He completed four novels (written in the period from 1962 to 1975), which remained unpublished during the Viet-Nam war. 'Can Nha', a novel having got past the military government's censors of the press, been ready to be published in 1974, was published 23 years later in the US, periodically in SongVan [USA: SongVan (ISSN 1089-8123), 1996-1997] and in book form in December 1997. Several excerpts from the novel were republished in Van magazine, (CA: Van Magazine, 1999), and in the anthology 'Tho van hai ngoai nam 2000', (Canada: Viet Thuong, 2000). Another novel, 'Bon no le trong den tho', was also published periodically in SongVan, issue 15, but this is the last issue before the discontinuity of the magazine in December 1999. N. Saomai is the founder and editor or editor-in-chief of the magazines: SongVan (ISSN: 1089-8123), The Writers Post (ISSN: 1527-5469), and Wordbridge (ISSN: 1540-1723). 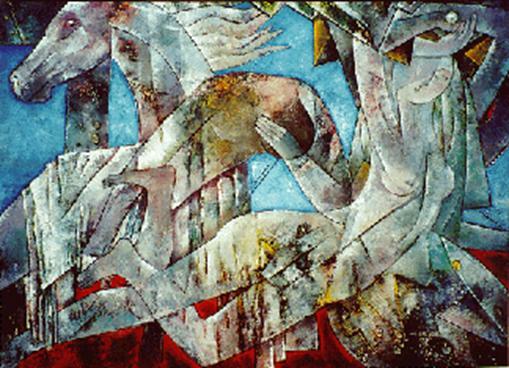 Ngo Duc Diem, or Ngo Quoc Si (pen name), was born in 1942 in Ha Tinh, Central Vietnam. Graduated from the School of Pedagogy in philosophy major in 1963 and received his BA in Philosophy from Dalat University in 1964, he taught philosophy and literature at the schools: Vo Tanh, Le Quy Don, Thanh Tam, Hung Dao, Dang Khoa, Giu Se, Van Hoa, and Lam Bich Seminary in Nhatrang. 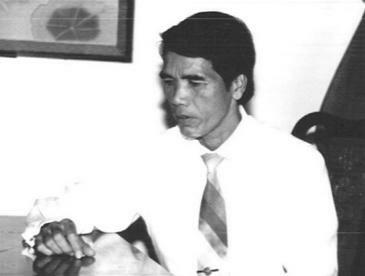 In the period from 1972 to 1975 he chaired the Teacher Association in Khanh Hoa Province. Resettled in the US, he became the Executive Director of the Vietnamese Voluntary Foundation (VIVO), a foundation has served Viet refugees in San Jose and Stockton CA since 1984. "Den Em Nu Hong/ A rose bud for you" is his first poetry collection published in 1983. It was followed by three others: "Tam Khuc Luu Vong/ A Heart Song in Exile" published in 1994, "Do Trang/ The boat of poetry in the moonlight" in 1999, and "Hoa Co May" in 2002. Ngo Duc Diem is the editor of Ngay Ve/The Day of Return magazine (1983-1986), and is a staff writer of the magazines: Dien Dan Thanh Nien/Youth Forum, Nguoi Viet To Do/ Free Vietnamese, and Quan Diem/View Point. Thanh Thanh, pseudonym of Le Xuan Nhuan, who leads the "Xay Dung" literary group which, owing to the numerous books it had published, was recognized as a main branch of the Vietnamese Cultural Tree at the unique pre-1975 National Cultural Festival in Saigon in the '50s. In the States, he has published "Ve Vung Chien-Tuyen / Back to the Front Line" (memoirs, Van Nghe, 1996), "Con Ac-Mong /The Nightmare" (poems, The-Gioi Moi, 1998), "Canh-Sat-Hoa, Quoc-Sach Yeu-Tu cua Viet-Nam Cong-Hoa / The Police Plan, R-VN's Aborted National Policy" (memoirs, Xay-Dung, 2002). He also writes and translates Vietnamese works into English poetry. His poems were frequently selected by American Poetry Associations and anthologized in Wind in the Night Sky, Best New Poems, Outstanding Poets of 1994, Best Poems of 90s, Best Poems of 1997, some poems were selected for the audio anthology The Sound of Poetry. Thanh Thanh is a member of American Poetry Association, and a lifetime member of The International Society of Poets. Zaak Fresh, graduated from Bowling Green University in Bowling Green Ohio in Economics & English, began his writing as a freelance writer in 1999. Works have appeared in TimeOut New York Magazine, Castle Books, Ottawa Comedy Resouces, Gay Community Magazine, and in the websites: Clevermag.com, Augustcutter.com, Rhinosplode.com, Teachercircle.com, and Muscle.com. Zaak Fresh is a member of the Manitoba Writers Guild, Canadian Federation of Humane Societies, and National Association of Self Esteem. Hoang Xuan Son (real name) or Su Mac (pseudonym), born in Vy Da-Thua Thien (Vietnam) in 1942 (registered as 1947 in his birth certificate), teacher and public servant, was educated at universities from where he graduated: University of Saigon (Bachelor degree of Education -Western philosophy), and University of Dalat (Master of Business Administration). Hoang Xuan Son began writing poetry in 1963. His first poem 'Ngay be lon len' appeared in Van magazine in 1964 (the magazine was then under the editorship of Tran Phong Giao, published by the publisher Nguyen Dinh Vuong), was followed by many others published in Van, Chinh Van, Nghien Cuu Van Hoc, Khoi Hanh, Thoi Tap, Nha Van magazines... In 1981 he left Vietnam for Canada where he settled. Vien Pho, his first collection of poetry, was published in 1989 by Viet Chien Publisher. His most recent book Hue Buon Chi, a collection of poems, was published in 1993. Beside these two publications, Hoang Xuan Son's poems reappeared in numerous literary magazines, anthologies, and electronic literary magazines on the World Wide Web published based in the United States and Canada. A new poetry collection Tho Quynh and a CD titled Quynh Huong that presents the songs of ten distinguished songwriters are in preparation. "A golden fall in the old town" republished in this "From Print Publications" section is translated by Huynh Sanh Thong, submitted to TWP by the author. Luan Hoan or Tran Gia Nam, pseudonym of Le-Ngoc-Chau, poet and short story writer, author of 17 collections of poems published under the pseudonym Luan-Hoan. Luan Hoan's recent collection of poems Co Hoa Goi Dau was published by SongVan in 1997, after Nuoi Thom Chum Ky Niem Xanh -Canada: 1995, Moi Em Len Ngua -US: Song Thu 1994, Cam On Dat Da Tro Tho -US: Kinh Do 1991, Dua Nhau Ve Den Dau -US: Song Thu 1989, Ngo Ngac Coi Nguoi -US: Nhan Van 1989, Hoi Tho VietNam -US: Song Thu 1986, Ruou Hong Da Rot -1974, Luc Bat Ca -1970, Ca Dao Tinh Yeu -1970, Tho Tinh -1970, Nen Huong Cho Ban Chan Trai -1970, Hoa Binh Oi, Hay Den -1970, Vien Dan Cho Nguoi Yeu Dau -1969, Chet Trong Long Nguoi -Nguong Cua 1967, Troi Song -Van Hoc 1966, and Ve Troi -Van Hoc 1964. "Washing my wife clothes" republished in this "PrintPubs" section is translated by Huynh Sanh Thong, submitted to TWP by the author. Nguyen Ngoc Bich translator of "Undending season"
Nguyen Ngoc Bich, educator, lecturer, author, translator, born in Hanoi Vietnam, educated in Saigon, the US, Japan and Europe, received his B.A. in Political Science from Princeton University in 1958. He did graduate work in Asian studies at Columbia University (1959-65), Japanese literature at Kyoto University (1962-63) bilingual education and theoretical linguistics at Georgetown University (1980-85). In 1975, he came to the US, settled in Virginia, where he taught adult education, elementary school and high school in Arlington, then Vietnamese Literature and Vietnamese Culture and Civilization at Trinity College, George Mason University, and taught at Georgetown University as a teacher trainer in bilingual and Multicultural Education. He is also one of the founders of National News Service, which provides news of interest to readers of Vietnamese language newspapers worldwide. In 1997, he joined RFA (Radio Free Asia) as the Director of the Vietnamese Service at Free Asia in Washington DC. Thanh Thanh translator of "To Mississippi" by Hoang Loc. In the States, he has published "Ve Vung Chien-Tuyen / Back to the Front Line" (memoirs, Van Nghe, 1996), "Con Ac-Mong /The Nightmare" (poems, The-Gioi Moi, 1998), "Canh-Sat-Hoa, Quoc-Sach Yeu-Tu cua Viet-Nam Cong-Hoa / The Police Plan, R-VN's Aborted National Policy" (memoirs, Xay-Dung, 2002). He also writes and translates Vietnamese works into English poetry. His poems were frequently selected by American Poetry Associations and anthologized in Wind in the Night Sky, Best New Poems, Outstanding Poets of 1994, Best Poems of 90s, Best Poems of 1997; some poems were selected for the audio anthology The Sound of Poetry. Thanh Thanh is a member American Poetry Association, and a lifetime member of The International Society of Poets. Huynh Sanh Thong translator of "Washing my wife clothes". Huynh Sanh Thong, professor, Chair of Viet Nam Forum and coordinator of the Vietnamese Study Center at Yale University. The Vietnamese language, simplified into crystallization through its evolution over many thousands of years, is used by Western writers as they introduce their works into the Vietnamese literary community. Works in Vietnamese by Western writers such as IRINA's and Y LAN's were acclaimed by interested readers. Milan Kundera. It is introduced into the Vietnamese literary community by the Vietnamese writer, editor, and translator TRINH Y THU, who translates it from the English version The Unbearable Lightness of Being – the translation by Michael Henry Heim. "Doi Nhe Khon Kham" is published by Van Hoc [CA: Van Hoc, 2002]. is a translation collection of 9 short stories. MIENG, pseudonym of Vo Thi Xuan-Suong, won the Hoa Tinh Thuong Magazine's first prize award for short story in 1972, is the author of Doi Mat (collection of short fiction, VN: 1973) and Tuyen tap truyen ngan (collection of short fiction, CA:1998). Her short stories have appeared in Vietnamese literary magazines published in the US, and in French.